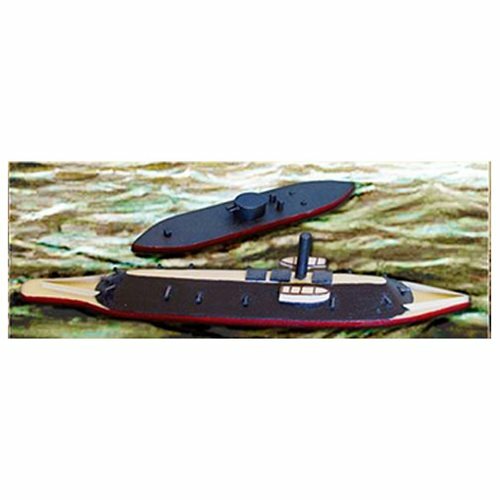 Build your very own scale versions of the Monitor and the Merrimack to recreate the Battle of the Ironclads! Featuring 36 parts laser-cut for precision, you can easily assemble the ships in this Monitor and Merrimack Battle of the Ironclads Wood Model Kit with white household glue in about an hour using the detailed instructions that help guide every step of the way. When complete, the Monitor measures 6-inches long while the Merrimack measures 9 1/2-inches long. The kit is for model builders ages 8 and up. Paint and glue not included.